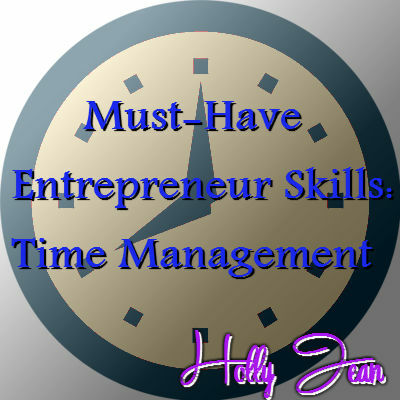 You may have already read an earlier post, where I cover 5 tips for Effective Time Management. If you didn’t, make sure to check it out after you read this post. Effective time management is a skill that most of us are not necessarily born with, rather a quality that we can improve in ourselves with the proper training if so desired. In other words, if you think you lack in this area, do something about it! We all have room for improvement, so make a plan and take action to better yourself and your time management skills. If you need help in this area, make sure to check out that earlier blog post that I mentioned for some tips! If you let time get away from you, you will have a hard time starting a successful business. Your calendar should be your best friend and one of your most valuable tools in the business. Learn to prioritize and plan. Utilize a timer to help stay on task. Stop wasting time with things that are not positive, like gossip, paparazzi, and the like. There is a common saying that you make time for what you want to make time for, and I really believe that to be true. Back when I was in the fitness industry, I often had clients tell me they didn’t have time to work out, no time to eat right, etc. Really? Does it take any longer to eat a salad than it does to eat a cheeseburger? Having no time to work out is simply a matter of poor scheduling and wasting time on less important things than your health. The point of this fitness analogy is this: If you want to succeed in business, you must make time for it, simple as that. Do you struggle with time management in your life? I would love to hear your concerns in the comments… let’s start the conversation! « Welcome to Freedom Friday! Great post. I have 4 kids and I can knock out one million things in a day, but give me one kid and I can’t do anything?! Would love some tips!! !